Zigzagoon and Linoone are both normal type Pokémon with far below average stats. In other Pokémon games, Linoone would be considered as a table turner, but combat in Pokémon Go is quite different from other Pokémon games. In Go, these Pokémon are caught for the sole purpose of Stardust farming and mass evolution on Lucky Egg. Both can be easily found all around since they are not rare and even commonly while Partly Cloudy weather. Basing it on the numbers alone, Linoone would never make it as a high ranking Pokémon. Its very low Max CP (1533) would now be a trainer’s first choice when choosing a gym defender, and it’s ATK is not high enough to match the high ranking, or even mid ranking Pokémon for raid battles. In a different metagame that uses Abilities, Linoone is a force to be reckon with. Its move Belly Drum normal, uses 50% of the Pokémon’s HP and magnifies its ATK significantly. Combining it with Extreme Speed normal, makes it almost a one shot kill. However, unless the Pokémon GO’s combat system changes dramatically, Zigzagoon and Linoone will just go on as the 3rd Generation Rattata and Raticate. Very quick moveset but still very low on damage. Tackle is gains less Energy then Shadow Claw but is alot faster and at the end has higher DPS since it benefit from STAB. Also Grass Knot is best option for for charged move since it has the highest DPS even with Shadow Claw. The color of a normal Zigzagoon is an easily recognisable zig-zag pattern, alternating between brown and eggshell gray all over it’s body. 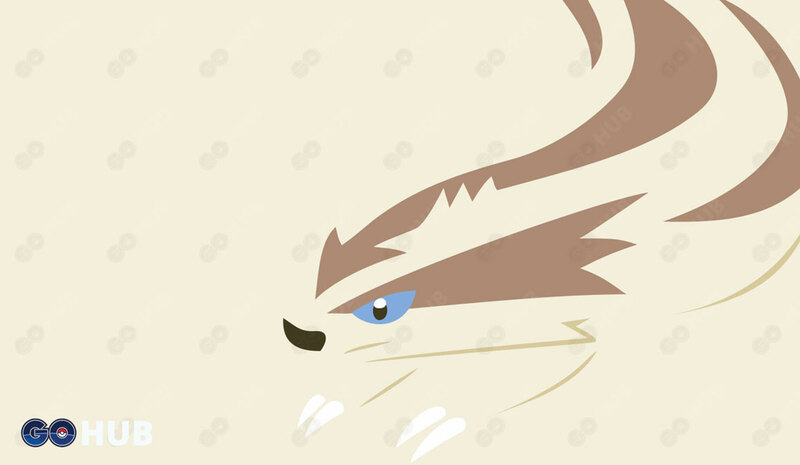 Linoone has mostly white colored fur, with light brown stripes forming lines in the shape of its body. Linoone also has a distinct light brown arrow, stretching from it’s head to its back. On the other hand, their shiny counterparts have orange and cream details in place of brown and gray. Zigzagoon made its television debut on the 272nd episode of Pokémon series titled “Johto Photo Finish”. Linoone on the other hand made its debut on the 386th episode of the Pokémon series (Advanced Generation: Episode 112) titled “Showdown at Linoone”.